Observation - Bagworm 2 - UK and Ireland. Description: Further to the comments at: http://www.ispot.org.uk/node/20902 this, I am sure, is a colony of Luffia bagworms on a lichen encrusted old brick wall. 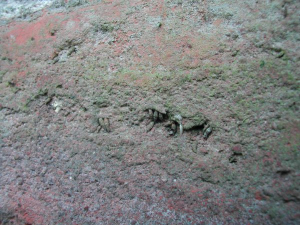 this, I am sure, is a colony of Luffia bagworms on a lichen encrusted old brick wall.